Look, I'll be straight with you, I'm no coffee expert. I mean I like coffee, but I prefer tea (milk, one sugar). Still, a friend told me about this place. He said if I was ever in the area, I really had to check it out. "Get a flat white," he said. "A flat white what?" I asked. See, I told you I'm no coffee expert. Anyway, recently I was in the area (Brixton) so I went to the place my friend had recommended. 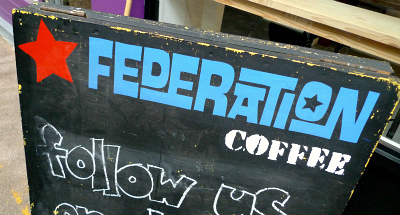 It's called Federation Coffee. 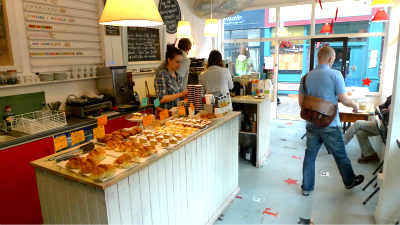 You'll find it in Brixton Village Market, a lively place at the best of times. 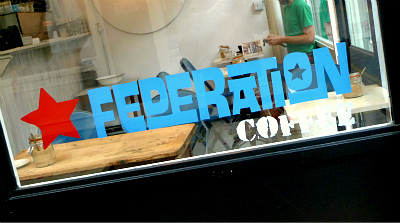 So, Federation Coffee, well, I went in and took a seat in the corner, so I could get a good view of the place. There's not much to view because it's small, but the view I had was very pleasant indeed. 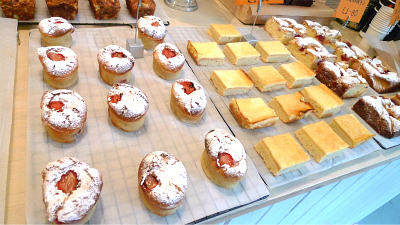 I could see plenty of colour, lots of shapes, and a whole load of cakes that caused a fair bit of saliva to start rolling around the inside of my mouth. And there was a lovely coffee aroma floating about the place too, which I suppose is what you'd expect from a coffee shop. But here's the best bit - as I sat waiting for the arrival of my flat white, a young dad walked in with his son. And his dad said this in answer to a question his son had just asked: "Because this place does the best coffee in the whole of London." Really, honestly, he said that. Now, of course, that's his opinion, and only you can decide if he's right. On top of that, it'd me wrong for me to say Federation Coffee does the best coffee in London because a)I don't know coffee well enough, and b)I haven't been to all of the coffee shops in London. But it was just impeccable timing, that guy walking in and saying that. I can say something about the atmosphere of the place though - it's convivial and friendly, and rather intimate. You see, this coffee shop is so small that your conversation can quickly become someone else's, and before you know it the whole place is discussing your medical condition. If you don't want it to be that way, you merely have to speak in a hushed tone. I liked this place though. If you're ever in the area, you really must check it out. 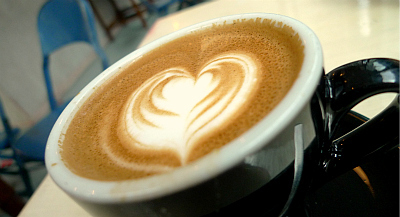 And make sure you get a flat white (this is a coffee popular in Australia and New Zealand, prepared by pouring steamed milk over the top of a single shot of espresso, apparently). Why? 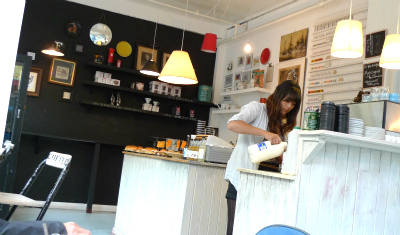 It might sell the best coffee in the whole of London.